Venetians love wine so why not starts off this year’s amazing Carnival with a grand toast at the wine fountain, with masks, costumes and traditional dances? 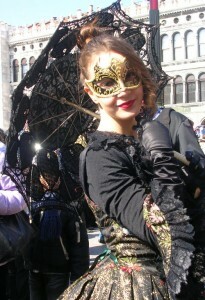 One of the most traditional celebration of the Carnival, for Venetians and visitors alike. The water parade will sail along the Canal Grande to the folklorist district of Cannaregio: here you will be able to sample all Carnival food goodies from the gastronomic stalls. One of the oldest celebrations in Venice: the Festa delle Marie remembrance of the homage that the Venetian Doge offered every year to twelve beautiful venetian girls, offering them magnificent jewels as a bridal dowry. The Festa delle Marie takes place in different days and gives everyone the opportunity to admire the traditional Venetian period costumes. 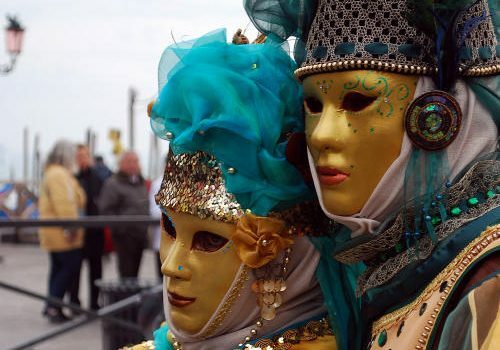 The walking parade will leave San Pietro di Castello at 2.00pm, walking along the Riva degli Schiavoni to reach Piazza San Marco at 4.00pm, where the twelve Marias will be introduced to the crowd waiting for them. 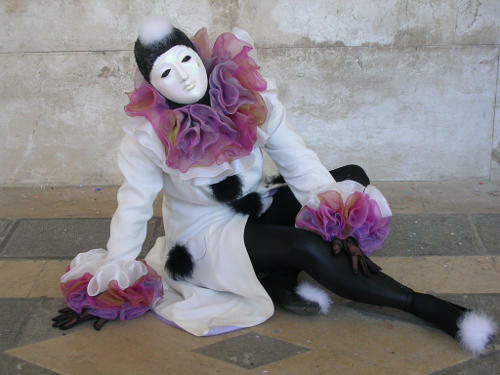 The most “Carnival” Contest is back at San Marco Gran Teatro. The competitors parade on stage, in an emotional contest full of costumes, masks and wigs. Two daily shows, at 11.00 am and 4.00 pm. 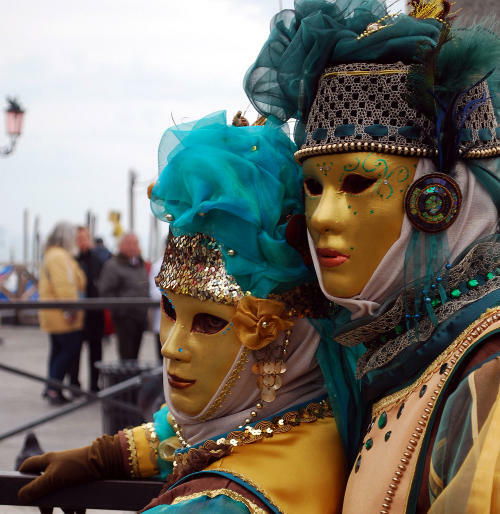 Even this year, from 11th to 15th and from 20th to 21st February , every day the contest will have a winner and a subject connected to Venice and theatre. Every day the entertainers will invite the masked competitors on the stage and the public of the lounge area will vote the winner for the most beautiful mask and the most exciting performance. From mid XV century, Venetian noblemen, in order to light their paths, used be escorted into their night walks by a lantern keeping servant called Codega . Through his curious tales, today visitors will be accompanied through unusual and secret sites in Venice, away from noisy Carnival crowds, on the discovery of the secrets past life of Venice. The itineraries of the guided tours have been conceived by the Venetian novelist Alberto Toso Fei. The Flight of the Angel is a traditional event that goes back to the Serenissima period where an unknown guest of Venice, flying along a rope from San Marco bell tower to the middle of the square, will offer an homage to the Doge, and will be greeted by the crowded parterre of the period costumes parades of the Historical Re-enactments. The angel, chosen among the stars of glamour or those of international sport, will be dressed up with a fabulous carnival costume. A great show dedicated to traditional music, with people dancing as in the sumptuous Venetian palaces. Piazza San Marco will be transformed into a grand dancing hall. This year a musician will fly from the Bell Tower to the Gran Teatro stage, accompanied by the music of his music instrument. The Carnival reaches the end and say goodbye what’s best than to take part in a water parade of traditional boats and gondolas floats along the Canal Grande, lit only with candels?